Need removalists from Melbourne to Canberra who you can trust to treat your belongings with the utmost care? Transcorp Removals & Storage has a team of dedicated removal professionals ready to assist you with your next interstate move. Whether you’re moving home or relocating to a new office, you can count on Transcorp to help you make the move without any stress or hassle. Interstate Removals from Melbourne to Canberra – How Long Does It Take? To learn more about our services, or to request a free quote for our removalists Melbourne to Canberra, get in touch with Transcorp Removals & Storage today. Call us now on 1300 466 838 to speak to our friendly team, or alternatively you can request a quote or make a booking online. 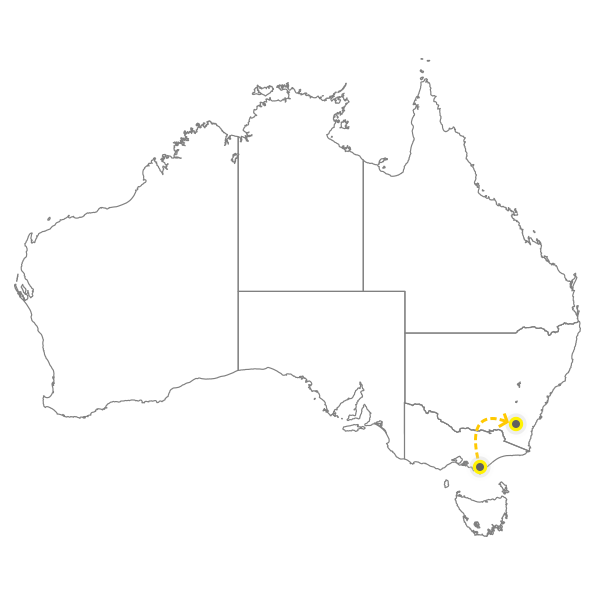 The approximate travel time from Melbourne to Canberra (either way) is 1 to 3 business days. If you also need storage, let us know at the time of booking. We cover all areas between Melbourne and Canberra. Get in touch with us for more information. If you require reduced transit times, an exclusive vehicle or removal container can be provided upon request.